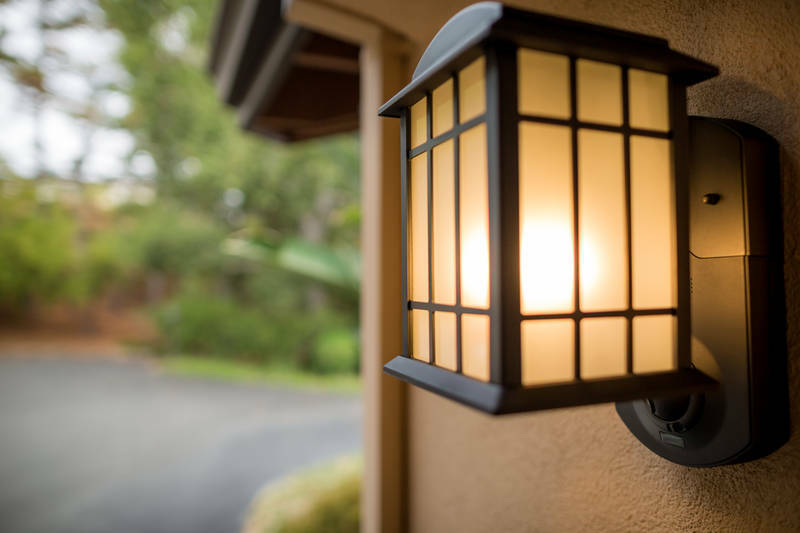 Led by Makers Sai-Wai Fu and Haomiao Huang, the Kuna team has launched the first effective break-in prevention solution: a smart Wi-Fi camera with an intercom built into an outdoor light fixture. 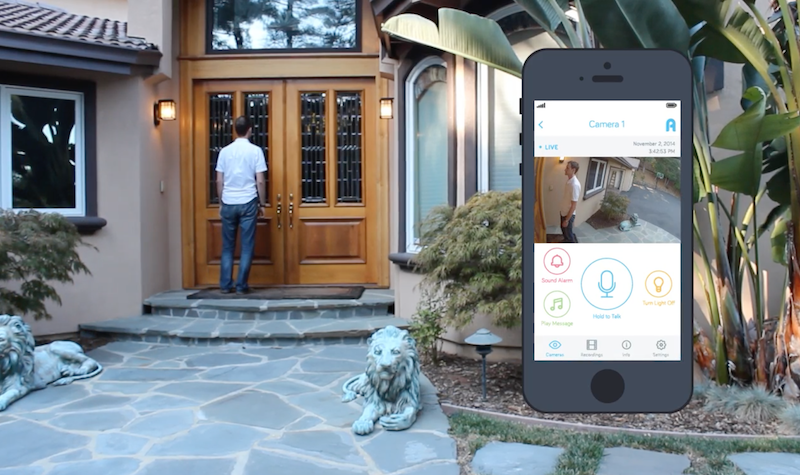 In other words, think of it as your digital doorman that detects those approaching your door and allows you to interact with them via smartphone. The early-stage company is no stranger to the Maker Movement and crowdfunding world, bringing years of experience as domain experts in digital video, drones and robotics. Moreover, the startup is further validation to Gartner’s recent claim that by 2017, over half of the Internet of Things (IoT) solutions on the market will originate from companies less than three years old. Meanwhile, the convergence of outdoor lights and home security is certainly not a brand new concept; however, Kuna has upped the playing field by streaming live video that a homeowner can watch and interact with from a distance. In addition to the camera and intercom, Kuna can act as an alarm siren and serve as a full-featured smart light. The light — which comes in traditional, contemporary and craftsmen designs to adorn any style home — empowers a user to turn it on and off remotely, set a schedule, or automatically turn on in dusk-to-dawn mode. And, since it’s a light, the app can be programmed to respond to motion when something or someone trips its sensor. 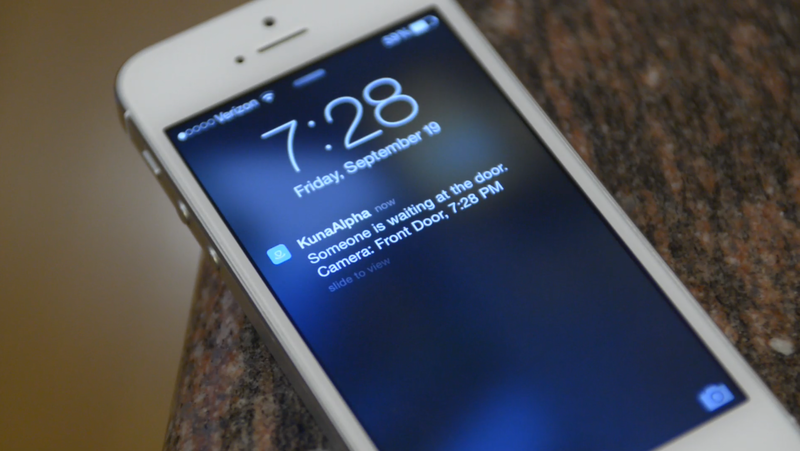 “Kuna provides peace of mind and convenience with an always-on device that distinguishes between people coming, going, and staying at the door through patent-protected technology to minimize unwanted alerts,” the team adds. Live in a woodsy area? Luckily, Kuna combines high-tech computer imaging with IR motion sensing to filter out false alarms such as swaying trees and small creatures. In addition, it can decipher between someone coming home, leaving or waiting at the doorstep. Key features of the camera include 720p HD video and a 116-degree field-of-view wide lens, whose footage is streamed to the smartphone through Kuna’s secure web servers. Instead of relying on battery power, it draws from the 120VAC via the mounted light fixture, and connects to the Internet over Wi-Fi and to your smartphone by Bluetooth LE. 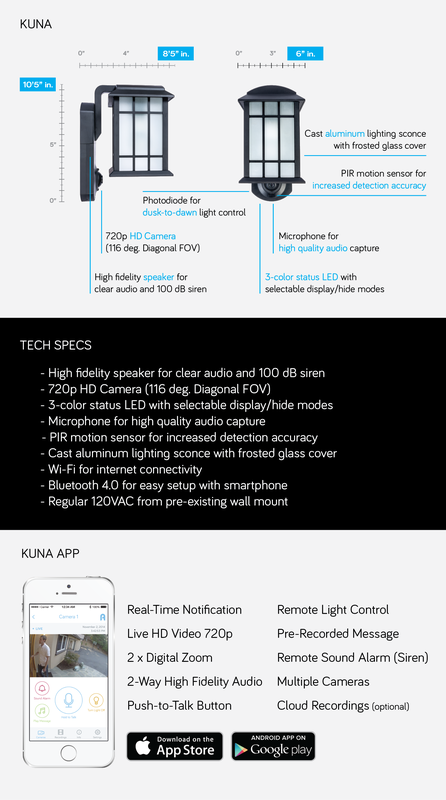 In an attempt to build a community of beta testers and early adopters, Kuna has launched an Indiegogo campaign offering special pre-order pricing starting at $99. Those interested in backing the smart device can expect their shipments come Spring 2015. This entry was posted in IoT, Maker Movement, Product News and tagged Home Security, Internet of Things, Kuna, smart devices, Smart Light Fixture, Smart Lighting, Smart Wi-Fi Camera on October 21, 2014 by The Atmel Team.